Playgrounds should be fun for kids, and they should also be fun for parents. Materials such as wood chips and sand can not only be a nuisance, but can also add to injury if your child falls and hurts themselves. There is an alternative to these playground products. If you are looking for safe surfaces for your playground that also look good, contact the team at Desert Greenscapes today. Synthetic turf is a great choice for playgrounds in Las Vegas. Not only does it bring a natural look to the area, but it also provides a little cushion whilst children run, play and tumble. It is a durable yet low maintenance product. It provides cushioning adding safety to a playground area. It is customizable to fit your playground space. As you can see synthetic turf can make an excellent choice for playground surfaces in Las Vegas. It provides a lush, green space that both children and adults can enjoy. When it comes to synthetic turf for playgrounds in Las Vegas it is important to choose the right product and the right company. There are many different synthetic turfs on the market, you will want to look for a product that has a strong reputation. The turf laid around a playground is going to have to stand up to a lot of foot traffic, therefore choosing the right product is important. You will also want to look for a grass that does not have any nasty surprises such as lead, choosing a high-quality product can prevent health, safety and durability issues from arising. Alongside choosing the right product, you will need to have a company install your playground’s synthetic turf. The right company will be able to give you specific advice on cushioning, drainage, and seems, dependent on the use and size of your playground. You will also want to choose a company that has a reputation for high-quality work and one that you can trust to take care of the job without constant supervision. If you are looking for a high-quality synthetic turf company with a strong reputation to install synthetic turf for playgrounds in Las Vegas, contact the team at Desert Greenscapes. 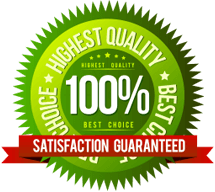 At Desert Greenscapes, our turf has received high reviews across the country and is made to stand up to heavy foot traffic for years to come. We offer a range of products to suit your specific needs and provide the best in synthetic turf installation in the Las Vegas area. If you are looking for high-quality synthetic turf for playgrounds in Las Vegas, contact the team at Desert Greenscapes today.